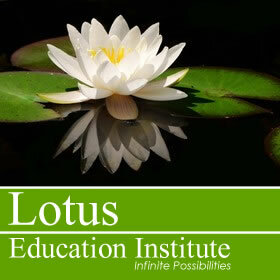 The Hotel Jerome in Aspen is understaffed and needs massage therapists…preferably from Lotus Education Institute! Call Audrey at the Auberge Spa if interested. Call 800-585-7903 to register for our next 500 hour Professional Massage Therapy training beginning on Feb. 5, 2019. Only 10 spaces left. Help people, be healthy, have fun. We have piloted shorter programs in the past three years, but have found that for ultimate student success a part-time, 9 month program is the easiest for students to fit into their lives and the best for students to have time to study properly for the national Massage Therapy exam, the MBLEX exam. Our fall program highlights three amazing teachers: Janet Shipman, LMT; Matt Hudgens, LMT and LAc; and Dr. Cliff Keen, D.C.
Janet taught massage therapy and owned a school in Hawaii. She brings over 27 years of experience as a professional massage therapist and a wealth of experience in high-end spas. Janet will be teaching the majority of massage therapy technique classes. Matt Hudgens, a long-time massage therapist and licensed acupuncturist will teach the advanced deep tissue and myofascial modules. Matt brings a unique understanding of massage therapy through the lens of Tai Chi and eastern medicine. Dr. Clifford Keen, DC, will teach the anatomy and pathology courses. Dr. Keen has decades of experience as a chiropractor and provides students with an amazing source of wisdom regarding musculoskeletal pathology. Join us! We only have 9 spots left. Start September 5, 2018 – end May 30, 2019. $5750 plus textbooks, supplies, and table. Payment plans and student loans possible. Call 970-274-6688 to save your place. Limited to 12 students. If you can’t join us, please spread the word and tell a friend. Welcome Janet Shipman! Janet was trained at the Boulder School of Massage Therapy in 1992. She has taught in Hawaii and Colorado as well as worked in an array of spa and medical massage settings. Everyone loves Janet! She brings a whole lotta ALOHA to Lotus. You will be lucky to have her as a teacher! Students studying in the sun! This fall we will offer a part-time 500 hour Professional Massage Therapy Certification Program. $5750 (or $5175 if paid in full), payment plans available. 9 months – September 5 – May 30. Congratulations to new and soon-to-be graduates! Spreading more love in the world. Way to go ladies. Go get that MBLEX exam! You can do it. Congratulations to all the 2017 Graduates…You are all so precious and shiny! 21 new massage therapists are helping make this world healthier, happier, more relaxed, and more compassionate. Thank you for your hard work. Make sure you take care of each other. Thank you also to Debbie Gonzalez LMT, and Matt Hudgens, LMT, L.Ac. for sharing their expertise and care as great teachers. Lotus Education Institute is celebrating five years of educating new massage therapists and teachers in 2017. We are so grateful for our students, the healing work that you provide the world, and all your hard work. Many blessings!